The ROSEMOR T10 is an expansion module. It has been developed to plug in into the Rotomac and using its systems run as the escalator or travelator is moving. It is good solution for quick clean of the horizontal part of the step. The ROSEMOR T10 quickly removes years of heavy dirt and grime. 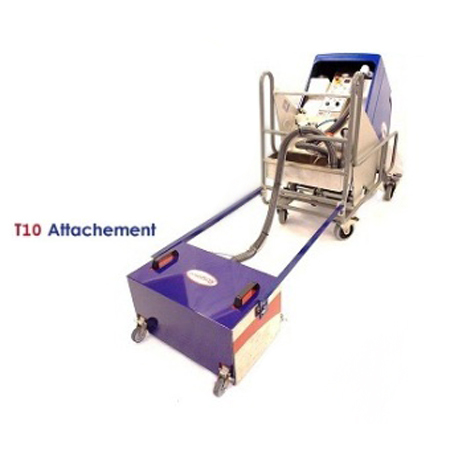 It operates independently by connecting to the main deep cleaning machine.